I’m always looking for fun activities for therapy sessions. When I find an idea that I really love I can’t wait to share it! Recently I’ve been brainstorming fun games and thinking about how to use them in therapy. My latest obsession is using the app Heads Up on the iPad. For anyone who isn’t familiar with this app, it’s a simple game of questions where one person describes a name or item on the screen to their partner, who must guess what this item is based on the descriptions. If you’ve ever played Headbands, it’s the same idea. 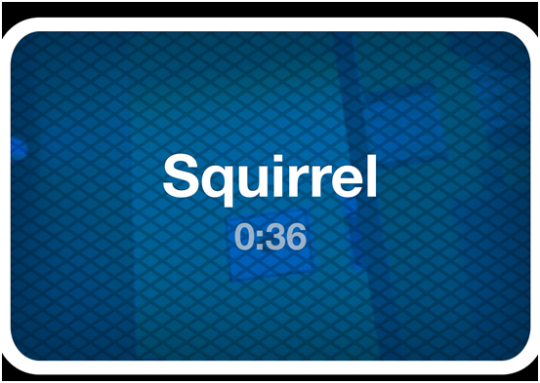 On the app, you can select from different categories such as animals, famous people, song titles, and more. This is such a great game for therapy sessions because it can be used to work on many different areas. You can cover a wide range of receptive, expressive, or pragmatic language goals with this one game. For example, the students describing the name have to be able to clearly describe the item given, which is awesome for kids working on expressive language. The person who has to guess the item needs to be able to recall what the team members are saying and put it all together to make a smart guess. You also get many chances to work on asking or answering questions. The app comes with 8 categories to select from and more are available for purchase within the app. Depending on what your students are working on, you can pick the category that best reflects their goals. A lot of my students are working on the language concepts of categories and features. Heads Up is perfect because students can focus on different features to describe. I love to use the animal category because my students can describe the different features of the animals. For example: Where do they live? What color are they? What is a feature that defines them? It’s great to work on categories as well because we can focus on different categories within animals. Are they a farm animal or jungle animal? Pet or wild animal? This app also gives tons of opportunities to work on social skills. Social skill practice is built right in because of the many skills needed to play a game with a group. If you’re in a large group, the skill of waiting is a big one. You also work on turn taking when one person describes and the other listens. One of the game categories is charades which is great for working on nonverbal skills. The best part is the students will be having so much fun they’ll forget they’re working! No iPad? No problem! This game can be played totally low tech as well. Some people may be more familiar with the game of Headbands, where people hold a card up to their head (or wear it on a headband) and have to guess who’s name is on the card. You can make your own categories to fit your students’ needs. I highly recommend you try this out! You can download Heads Up here. If you use this in therapy, let us know! Sign up for our mailing list here to stay updated with our latest therapy tips, app announcements, and blog posts. Don’t forget to follow us on Twitter, Pinterest, and like us on Facebook!